Make Your Own Kalis Stick! Click to earn this beautiful Wisdom Card today! Check out lots more Wisdom Acts at the Wisdom Chooser. 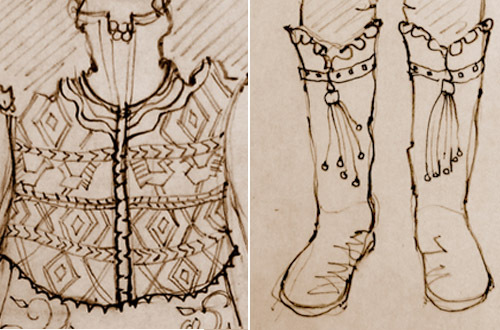 Sneak Peek at Zally’s Wardrobe! Zally’s book is out and her wardrobe collection is on the way! Are you ready to find your spirikin? click to earn this magical Wisdom Card today! It’s the Secret Move that Changes You! Don’t forget to Buy Kerka’s Book for the tween girl in your life! Kerka has arrived! 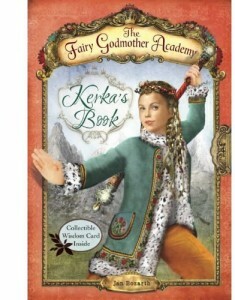 We are so very proud to announce the release of Jan Bozarth’s latest book in The Fairy Godmother Academy series: Kerka’s Book. buy your very own copy online today! Also – Read a free chapter from the book after the jump! DadLabs has posted a great 4-minute video interview with author and creator of the Fairy Godmother Academy, Jan Bozarth. It’s a good look at why Jan has pursued this Dream, and what it means to go about this kind of project. Check out the video below and check out other great stuff from DadLabs.com. Author Jan Bozarth will make two specially-scheduled visits to New Orleans during Mardi Gras. Bozarth will appear at the city’s beloved book seller Maple Street Book Shop on February 11 from 4 to 5:30 PM to sign books and answer questions about the series. On February 15 at 4:30 PM Bozarth will give a reading at the East New Orleans Branch Library, followed by a book give-away to children rebuilding their lives post-Katrina. The first 30 children to arrive will get a signed copy of Birdie’s Book. Give this book to a fairy godmother in-the-making! Granny Mo will tell you: good food from the garden tastes best when shared. Share the bounty by organizing a food drive close to home! And protect the green world, too—deliver your donations in reusable bags that you’ve decorated yourself.Get started now: it’s fun, easy and makes a real difference. 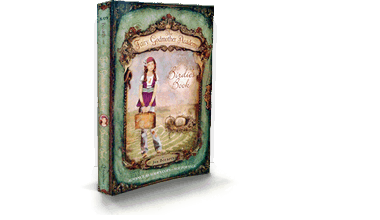 Don’t forget to Buy Birdie’s Book for the tween girl in your life!